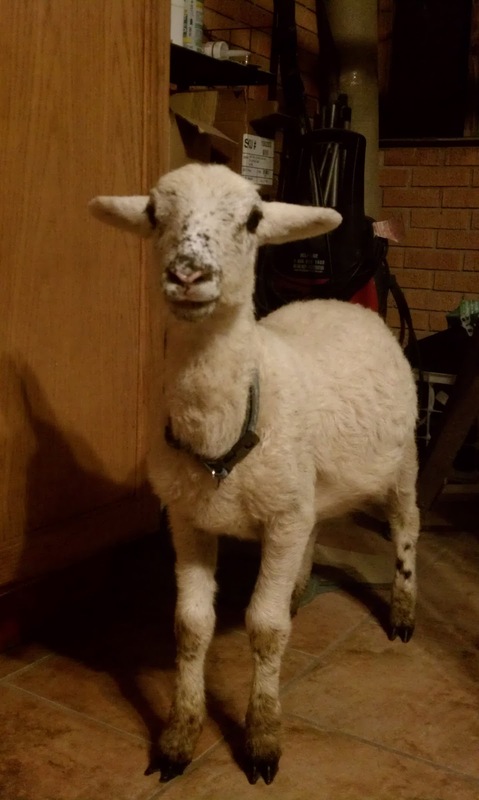 A few weeks ago, we lost one of our momma sheep, Rose. I was away for the day, sitting with my grandmother in the hospital, but from what BigOnion told me and what I saw when I got home, it looked like bloat. Bloat can happen in sheep for a lot of different reasons, and I think we lost Rose due to a combination of things including parasites and the antibiotics we were using to try and clear her persistent case of hoof rot. Well, when we got home from work one day this week and found Ruby with a slightly distended belly, we started worrying that we had another bloat case on our hands. Bloat is very, very common in bottle fed lambs. I went ahead and gave her her evening bottle and went back inside for dinner. After dinner, I went to check on her again, and she looked even worse. Her belly felt tight like a balloon, and she didn't call out to me or try to follow me. I knew something was seriously wrong, so I scooped her up and carried her back to the house (25lbs of wriggling sheep gets HEAVY after a while) and set her up on the lanai (screened in porch). I tried giving her a good mouthful of a bloat remedy I found online that was oil, baking soda and water. She was less than thrilled with the idea. She also wasn't interested in her bottle - a very bad sign. I decided I would be spending the night with her. Bloat can turn deadly very quickly, and there was no way I was gonna lose this sweet baby if I could help it. What followed was a long night of giving her oil and probiotics, massaging her huge belly while listening intently for burps and farts, and walking up and down the back yard. I set my alarm to wake me every hour so I could make sure she was ok.
About 3:30 in the morning, she came over and nose poked me awake. Her stomach was finally going down a little, and she was finally ready to take her bottle! Not long after, she started passing nasty, liquid, oily, gassy poops. I never thought I'd be so happy to see sheep crap in my life! By morning, she was feeling so much better. Her stomach had much more give. She was talking to me and following me around. She got one more bottle with milk, a little more oil, and probiotics. 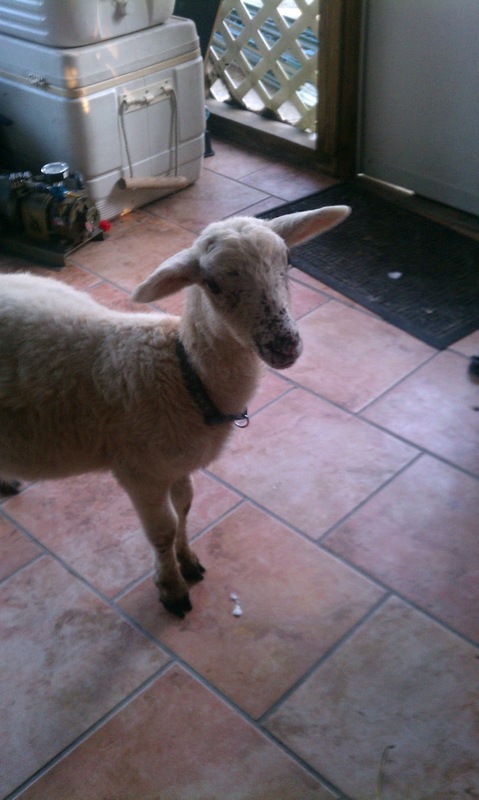 I walked her back out to the flock and left for work. By far the longest work day I have every spent. She seemed fine when we got home and has been ok since. I make sure to add probiotics to every bottle she gets now and that seems to make the difference.